Hamilton was sublime on Sunday and didn’t put a foot wrong in recording his ninth victory of the season, extending his lead at the top of the standings to an ominous 67 points. Behind him, Bottas came under slightly more pressure due to blistered tyres but always had enough pace to keep Verstappen at bay. A second one-two in a matter of days, the Mercedes crew will sleep easy on Sunday night. "I was having so much fun driving this track. I was really able to just embrace the moment and enjoy every single lap, every single corner and the feel of the car. Suzuka is such a unique circuit, you go down a hill into Turn 1, then up-hill, you go underneath the track - it's one of my favourite circuits. The pace was really great and this is definitely the best weekend I've had here and the best feeling I've had here balance-wise, it was really lovely. Everyone at the track and back home in the factories deserves a huge thank you for their continued efforts, they just continue to push and deliver, weekend after weekend. This result was really the best way to repay all their hard work. There's still 100 points available, so we have to try and focus and never be complacent. The team has done such an amazing job the last few weekends, we need to bring the same focus and performance and keep pushing. The harmony in the team and the performance of every single individual in the team is the best it's ever been. But we've always got areas that we can improve on, collectively and for me personally, so we will keep pushing and keep raising the bar." "This is a perfect result for the team and a great reward for an amazing performance from the entire team this weekend. I'm happy that we could bring it home like this after qualifying on the front row yesterday. This was my first podium here in Suzuka which was great; I get a lot of support from the local fans, I can really feel it and it means a lot to me. My race was pretty straightforward, we actually had a bit of margin to save the engine. It probably looked much closer on TV than it actually was. I had one lockup going into the last chicane where Max got a bit closer, but otherwise I was just managing and it was all under control. The first stint on the soft tyres was a little better than the second one on the mediums, where blistering was a bit of an issue, but no drama. Overall, this was a great weekend for the team." 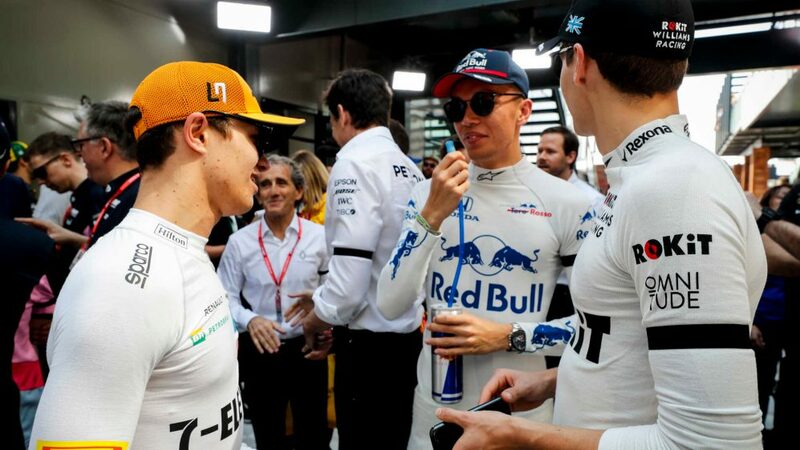 "That was a very tense Grand Prix for us. It might have looked pretty smooth from outside but within the team we were managing blisters in the tyres, some driveability issues with Lewis' power unit and very competitive Red Bulls behind us. So to take a 1-2 for the second race in a row is pretty special - not just for the trackside team here after a tough back-to-back, but for everybody back in Brackley and Brixworth who have poured their efforts into developing this car and power unit. There hasn't been a single silver bullet - just a lot of hard work, creativity and a mind set to channel the pressure of the competition and keep pushing hard to achieve our objectives. The approach will remain the same in the coming races: we will not let up one single bit when it comes to bringing more performance to the car, and keep taking everything day by day. It has been an important week for the team and we have come out of the challenges we faced even stronger than before. From here, every race is like a mini-championship and we need to keep aligning our race weekends in the same way we achieved in Sochi and Suzuka." "A great result and overall a really strong weekend for the team and drivers. The car has been fast and reliable which is just what we have needed over the last few races. We didn't really know what to expect going into the race as we'd not had a chance to practice in hot conditions, so in the first stint we were getting the drivers to go easy on the tyres as we weren't sure how long we were going to have to take them. The race behind us seemed to be fairly entertaining with Max and the Ferraris and after the penalty and there was a period where we weren't sure whether it would be Seb or Max would presenting the biggest threat. We were able to stay out longer than the other runners and cover off the safety car threat before coming in for the medium with both our cars. The soft seemed like the best tyre, which helped us in the first stint but allowed Max to put Valtteri under a bit of pressure in the final stint, although Valtteri seemed pretty relaxed about it after the race. This has probably been the closest we have come to perfect weekend all year, in terms of reliability, car performance the drivers and how we've worked as a team. We are taking it one race at a time at the moment and just trying to do the best job we can in each weekend so hopefully we can carry this momentum into Austin." Lewis Hamilton, Mercedes AMG F1 celebrates with the team and the champagne at Formula One World Championship, Rd17, Japanese Grand Prix, Race, Suzuka, Japan, Sunday 7 October 2018. Valtteri Bottas, Mercedes AMG F1 celebrates on the podium at Formula One World Championship, Rd17, Japanese Grand Prix, Race, Suzuka, Japan, Sunday 7 October 2018. Verstappen was the man to watch. 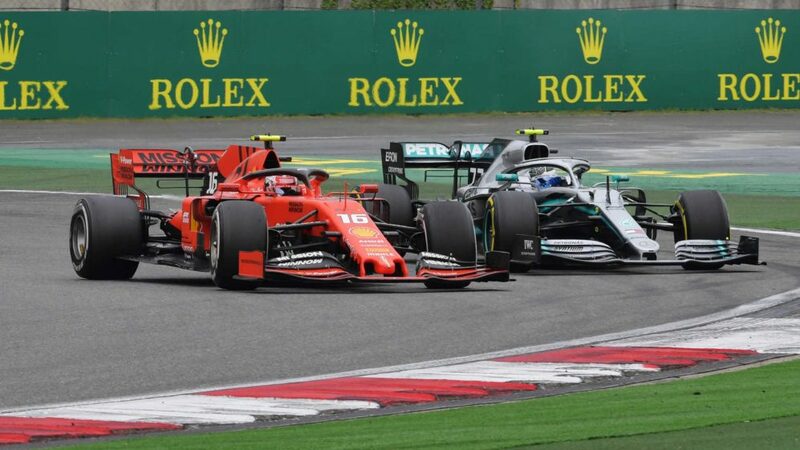 He was penalised for tangling with Raikkonen after running straight on through the chicane, before suffering floor damage after contact with Vettel when the German attempted a late overtake. Deemed blameless by most for the second incident, the Dutchman pushed hard but couldn’t catch Bottas ahead. 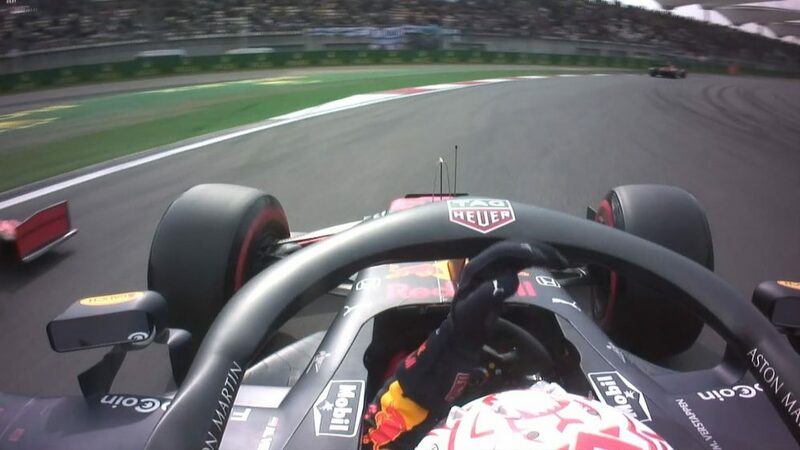 Ricciardo, meanwhile, started down in P15 but put in a superb recovery drive, cleanly passing the midfield and laying down some hot laps when it mattered to leapfrog Raikkonen in the pits and come home P4. Kimi Raikkonen, Ferrari SF71H and Max Verstappen, Red Bull Racing RB14 battle at Formula One World Championship, Rd17, Japanese Grand Prix, Race, Suzuka, Japan, Sunday 7 October 2018. Daniel Ricciardo, Red Bull Racing RB14 at Formula One World Championship, Rd17, Japanese Grand Prix, Race, Suzuka, Japan, Sunday 7 October 2018. After Saturday’s strategy mishap, Ferrari were in damage limitation mode – and it looked a reasonable start, with Vettel fighting up to fourth. 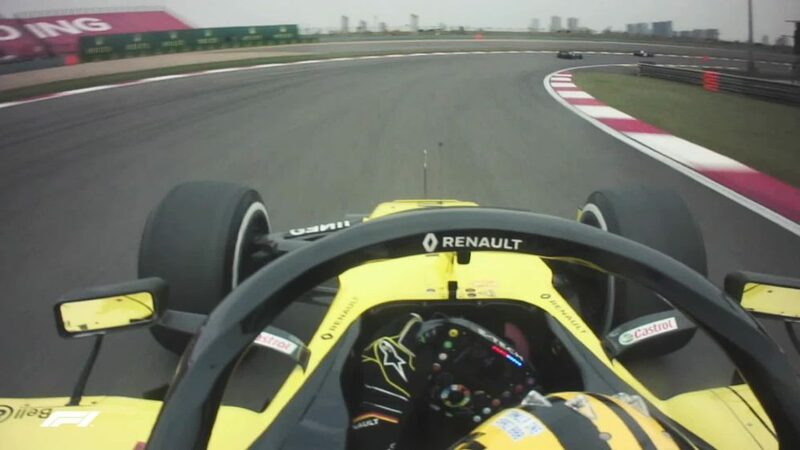 But then he tried an audacious late move down the inside of Verstappen, got tagged into a spin and wound up P19. 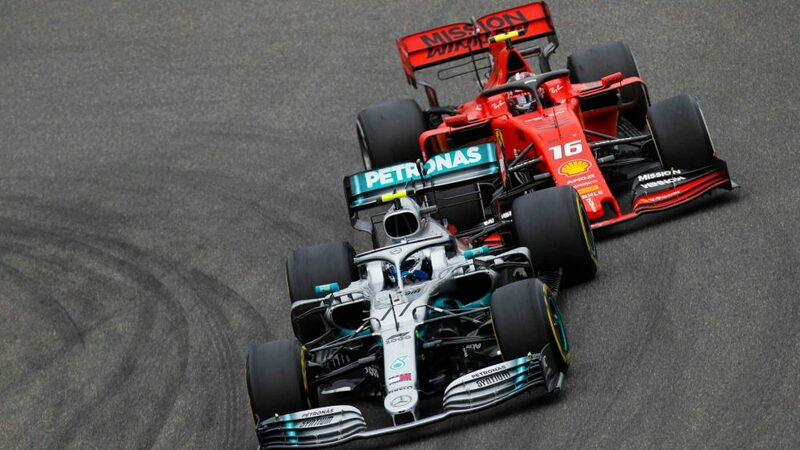 With Raikkonen getting jumped in the pit stops by Ricciardo, Ferrari were left shaking their heads as both championships seem to have slipped from their grasp. "Today, I found it quite inspirational walking through the garage and watching the guys work! All the team is fired up and that certainly helps, as the last couple of weeks haven’t been that easy. The spirit is unbroken despite everything. Races like this are a bit of a hand-over and we know it is difficult from where we are in the point standings, but we don’t have much to lose. We have given everything so far and I believe there’s still something we can learn and understand from the car. So we keep fighting and resisting and we’ll see what the other races bring. As for the collision with Max, I was obviously pushing to pass, I knew he had a penalty, but I also felt that we were fast. I could see that his battery was clipping, while I had saved some energy from mine. I saw a gap and went for it on the inside, he obviously tried to defend and I couldn’t go anywhere, so we touched. However, this is part of racing." "After the contact with Max I saw some parts flying off my car; it was damaged pretty badly on the left hand side. Obviously, this affected negatively the rest of my race. What happened is unfortunate and after that it was pretty difficult to drive on. I had lost a lot of downforce, but there was not much I could do. It’s impossible to know what our performance would have been without that accident at the chicane; we had improved the car over the weekend, it was getting better and better, but unfortunately this is what we have got today. It’s been a difficult and poor weekend overall, the result is not ideal. Now we need to look deeply on everything and hopefully we’ll come back at the next race on a more normal situation where we’ll be able to fight." "After what happened in qualifying, today the team and the drivers fought back well. The podium could have been within our grasp, but unfortunately, damage on both cars, as a result of collisions in the race, affected the final result. Regardless of what is now a very difficult situation in terms of the championship, we will tackle the coming races giving them our best shot, maintaining concentration and determination." A solid race for the men in pink. Perez kept it steady, and pounced on Grosjean when he saw the Frenchman struggling with his tyres after the VSC restart to claim best of the rest. It also means the Mexican lies seventh in the drivers’ standings. Ocon pushed hard but couldn’t do likewise and came home ninth. A double points finish is a good result with sixth in the constructors’ not out of reach. Esteban Ocon, Racing Point Force India F1 Team in parc ferme at Formula One World Championship, Rd17, Japanese Grand Prix, Race, Suzuka, Japan, Sunday 7 October 2018. Sergio Perez, Racing Point Force India VJM11 leads Esteban Ocon, Racing Point Force India VJM11 at Formula One World Championship, Rd17, Japanese Grand Prix, Race, Suzuka, Japan, Sunday 7 October 2018. Hulkenberg tried to play the long game, starting on the medium tyres but wound up retiring with technical issues. 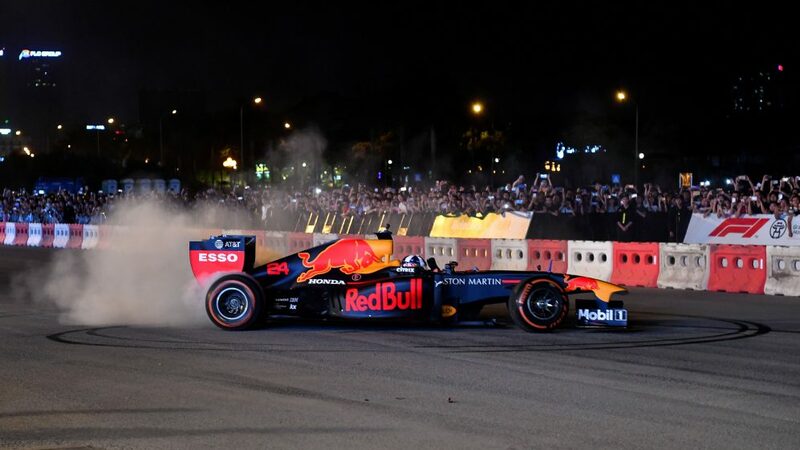 Sainz likewise seemed to lack speed initially but found himself with warmer tyres after the VSC restart and used them to good effect to close down Gasly and steal the final point on offer. With Haas looking strong, every little helps in the championship at this late stage of the season. Nico Hulkenberg, Renault Sport F1 Team at Formula One World Championship, Rd17, Japanese Grand Prix, Race, Suzuka, Japan, Sunday 7 October 2018. Carlos Sainz, Renault Sport F1 Team R.S. 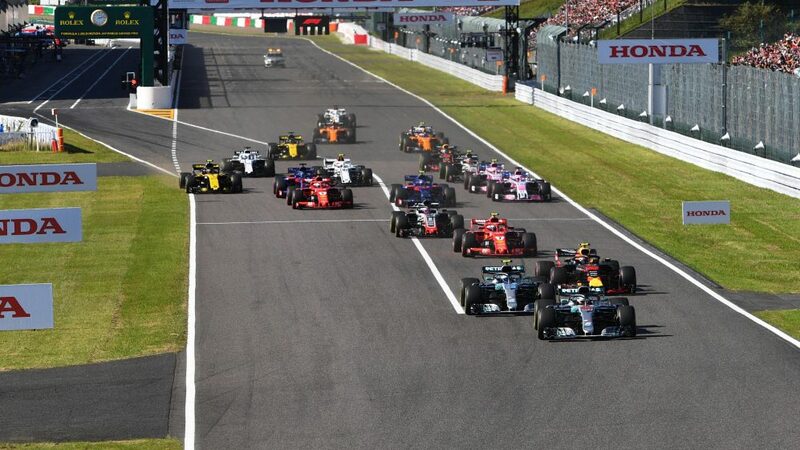 18 at Formula One World Championship, Rd17, Japanese Grand Prix, Race, Suzuka, Japan, Sunday 7 October 2018. Romain Grosjean, Haas F1 Team VF-18 leads Daniel Ricciardo, Red Bull Racing RB14 at Formula One World Championship, Rd17, Japanese Grand Prix, Race, Suzuka, Japan, Sunday 7 October 2018. When it’s not your day in F1... it’s really not your day. Leclerc had to pit early for a new front wing after hitting Magnussen, although the jury is out as to who was to blame for that one. 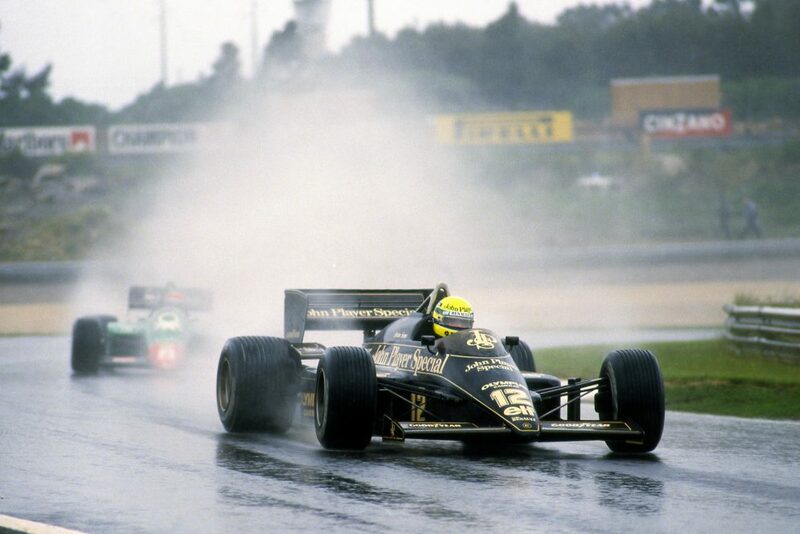 He managed to continue, before being hit from behind by Ericsson at the Safety Car restart. With a badly damaged C37, the youngster bumped over the grass to retire when something “broke.” Ericsson kept his head down after the embarrassment of hitting his team mate and limped home a distant 12th. Alonso was barged wide by Stroll at the start, and forced to run over the grass. He was penalised for gaining an advantage, although what advantage can be gained from using a high performance vehicle as a lawn mower is a mystery. Back on track, the Spaniard got involved in a number of battles but lacked the pace to make inroads. Vandoorne likewise at least finished ahead of the Williams but blamed a lack of power for the failure to climb any higher. “In spite of the poor result, I did enjoy driving around this track today. The first lap was quite good and intense, and in the Esses especially we were overtaking each other inside and outside and we recovered a few places. In the last couple of laps there was also a good battle with the Williams and [Marcus] Ericsson who were struggling on old tyres, so we had to fight a little bit. “Even though we were too slow all weekend, in the end it was an enjoyable race. “It wasn’t a great race for us. It was pretty difficult at the beginning, and there wasn’t really any possibility to resist the quicker cars. We were more or less passengers on the straights. “At least the race turned out a little bit better towards the end, and we managed to beat a few cars on pace. With the tyre degradation, we were able to make them last and make a one-stop work, catch up with some cars and hold some other cars behind us. “Despite our lowly starting position, Fernando’s penalty and the fact that we come away with no points, it’s fair to say that today was still positive. “Stoffel struggled a little in the first stint, but finished quite strongly to elevate himself to the fight immediately ahead. “Fernando had a brilliant first lap, and strong pace throughout the race, showing his customary inimitable race-craft. We sit here wondering what could have been, nevertheless we go home with a better feeling, given that we genuinely beat cars that started ahead of us. In addition, our race pace once again proved to be stronger than qualifying. Fernando Alonso, McLaren on the drivers parade at Formula One World Championship, Rd17, Japanese Grand Prix, Race, Suzuka, Japan, Sunday 7 October 2018. Stoffel Vandoorne, McLaren on the drivers parade at Formula One World Championship, Rd17, Japanese Grand Prix, Race, Suzuka, Japan, Sunday 7 October 2018. With both cars starting in the top 10, expectations were high. Hartley got a poor start, dropping four places and from there was always going to struggle in a congested midfield to return to the points. Gasly though ran a solid P6 for much of the race before pitting later than his rivals. That enabled most of them to ‘undercut’ the Frenchman and he was left in possession of the final point before worn tyres contributed to Sainz sweeping past. Pierre Gasly, Scuderia Toro Rosso STR13 at Formula One World Championship, Rd17, Japanese Grand Prix, Race, Suzuka, Japan, Sunday 7 October 2018. Brendon Hartley, Scuderia Toro Rosso on the drivers parade at Formula One World Championship, Rd17, Japanese Grand Prix, Race, Suzuka, Japan, Sunday 7 October 2018. 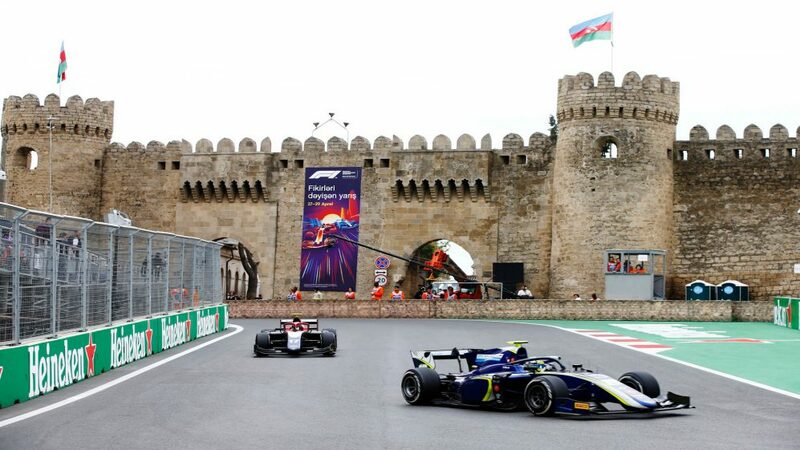 Both drivers were in the thick of the action – Stroll got his elbows out with Alonso, pushing the McLaren onto the grass and getting a penalty for his pains. Sirotkin too banged wheels with Sainz but to no avail. 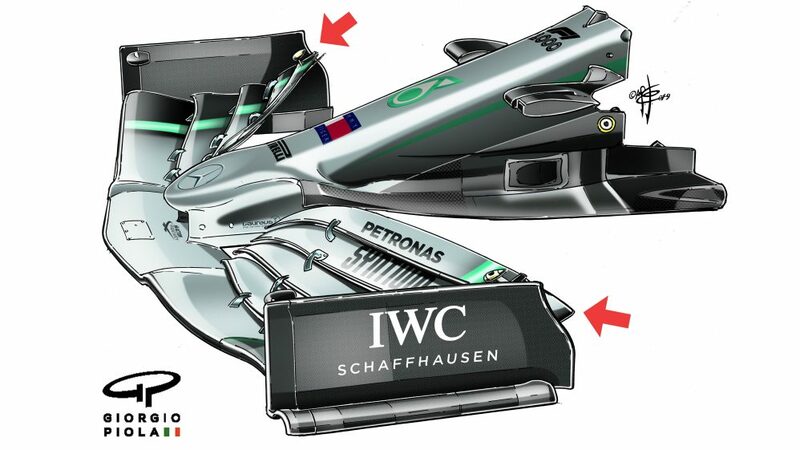 Williams opted to two-stop both cars but they were too far back to make use of the quick supersofts at the end. "Today was a difficult day. We had to turn our strategy around to a two-stop, which in the end looked like it could be the quickest strategy to the flag. However, with traffic and other things happening on the track, we didn’t really get chance to fully exploit it, so it was a difficult race. We were able to avoid some of the trouble on the track and gain some positions here and there, so it’s been good in these terms, but at the end of the day we didn’t finish as high as we probably wanted. A very difficult race but I think we as a team did the absolute maximum from what we could today. With our situation, none of us could do any better, so with this in mind I’m very proud of all the boys effort." "With Fernando, I just went around the outside of 130R, I got on the grass and then back on the racing line, we made some contact and then he just went straight on, so we both got penalties. It was just a typical first lap racing incident when things get heated. I just wanted to say to him I didn't push him intentionally or anything like that. After that, the race was quite bad. Nothing went our way today, as races go, it was just a really bad one." "A disappointing day. We had the pace and grid positions to beat some cars today, but we didn’t manage to do so overall not the result we hoped for. We had good reliability with both cars coming home. Lance received a penalty for an incident at turn 16, and on top of that in his second stint, which needed to be a good, long stint, he flat spotted one of his tyres, so effectively that ruined his opportunity today. On Sergey’s side, he lost quite a few places in the opening laps, therefore, we chose to gamble with an earlier stop, but for various reasons that didn’t work out, so we had to make a second stop." Lance Stroll, Williams FW41 at Formula One World Championship, Rd17, Japanese Grand Prix, Race, Suzuka, Japan, Sunday 7 October 2018. Sergey Sirotkin, Williams FW41 and Marcus Ericsson, Alfa Romeo Sauber C37 at Formula One World Championship, Rd17, Japanese Grand Prix, Race, Suzuka, Japan, Sunday 7 October 2018.